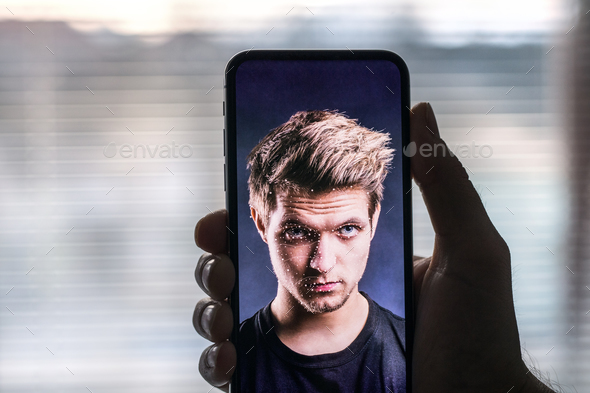 A smartphone using face ID recognition system. A hand holding a smartphone using face ID recognition system. Close up.